I feel so guilty that I didn't sign Beanie up for any gym class when he was younger. 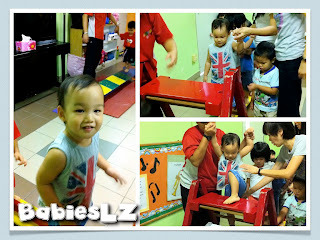 Both LZ joined Tumbletots when they were not even 1 year old. So when the school he's attending offered gym class, I signed him up for it. Little one enjoys it! I made the right choice and am happy to see him having so much fun.